Utah ranks sixth in the Nation for gold production and much of this gold comes as a byproduct of copper, silver or iron mining. Gold mines in Utah begun as placer mining operations in the 1800s and is still the most popular form of gold mining in Utah. The Kennecott Copper mine remains the major source of by-product gold in Utah and the amount of gold processed exceeds 582k. Iron County Utah claims 12,760 ounces of gold that comes from mines near the Nevada border. These mines are now closed due to flooding and the high cost of extracting metals. Gold veins run from Utah into Nevada and contribute to Nevada gold mines that are high producers of gold. Near Nevada the Gold Springs Camp has areas of closed mines and working latite and rhyolite mines that produce gold as a by-product. Gold mines in Utah include The Gemini, Chief, Eureka, and Mammoth mines in central Utah which produced close to 3 million ounces of gold as a byproduct of silver and copper mining. There are still placer deposits in the rivers below these mines, but the gold is hard to recover. 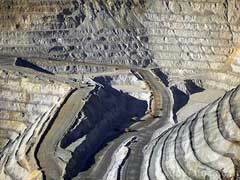 The Bingham Canyon region is the richest area for gold mines in Utah. This area is very rich in placer mining and does include deep mine shafts that extend to ancient river beds. There are hundreds of gold mining claims for sale in all counties of Utah. These are claims where gold and precious metals have been found, but the owners either were unable to begin the mines or plans were interrupted. As an example the Lucky John claim in Juab County is for sale and is regulated and patented by the patented Mining Claims office. There are no water rights and the claim is sold mostly for historical or recreational purposes. By searching county records, eBay holdings as well as the Bureau of Land Management website and offices you can find gold mines in Utah that may still be workable. In the Dugway Mining District, Tooele, Utah rare gold mines for sale include mines that have high gold, copper, nickel, and iron deposits. Utah precious metal veins run across state line into Arizona and help give Arizona its twelfth place ranking in gold production in the US. Currently mines in this area are difficult to work because of the low water content and the high heat. Gold mining in Arizona is more established in the southwestern corridors near the border of Mexico and south of Phoenix.